What are the best top rated tents to buy? 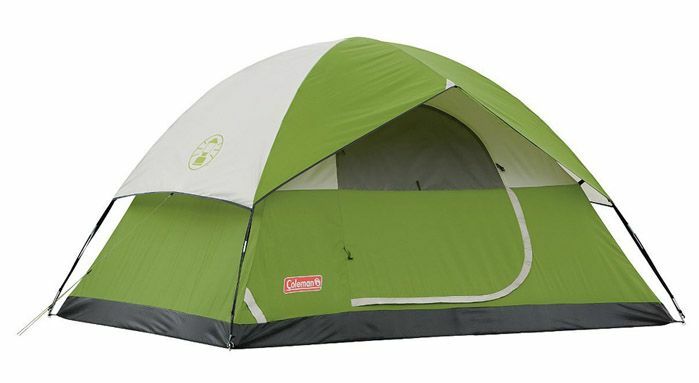 What qualifies a tent to be deemed top rated? "better than average" is probably a good place to start. A quick check of my data, revealed that the average overall score for all the tents on this website with more than 5 reviews, is 74% To narrow things down further I decided to raise the bar on one of the qualities, to determine what could be called top rated. The Octagon 98 "pictured above" made by Coleman. 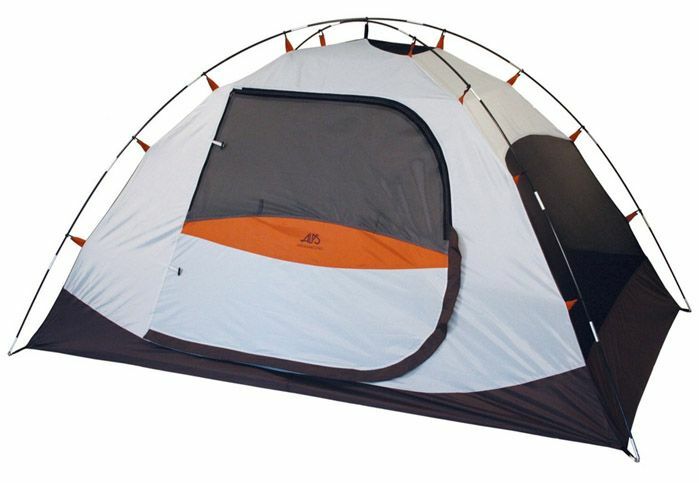 Has 6'10" of standing room, easy to set up, tested by campers in the rain and wind without problems. A half length fly is included. The largest of the three designed for eight costs $180 info_outline more than it's little brother, it is though double the size and considerably larger with 140 square feet. Which is nowhere near double the price. You can watch Kodiak's own video of the canvas flex bow tent below. Even though this is a heavy and sturdy four season canvas tent, it can still be easily set up by one person alone, as highlighted in the video. Quality is stressed throughout and this is supported by the stellar reviews this model gets. 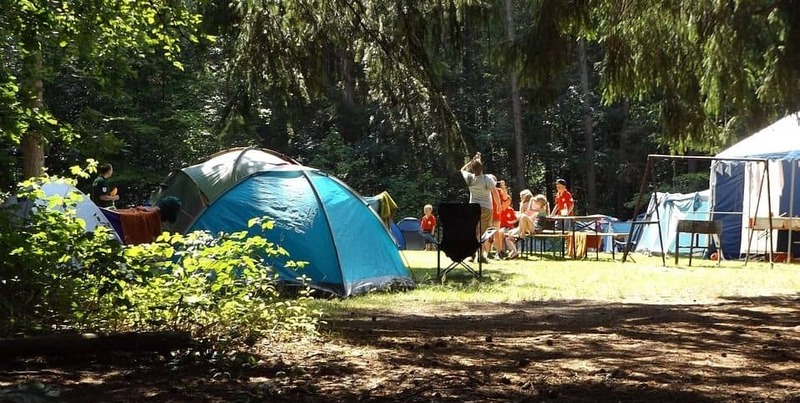 Fourteen of the fourty top rated tents are dome tents, easy to set up these tents are very popular for families new to camping, none are particularly large in size, groups of 4 or more maybe better looking at another types of tents. Of the fourteen the Mountaineering Meramac 3 made by Alps scores an impressive 90% with more than 100 reviews, it is though a three person tent and can only be considered for small families hiking or a couple with a newborn. Both Kelty and Big Agnes have two dome tents with excellent scores, the Trail Ridge 6 and the Flying Diamond 4. Both come from quality manufactures with reasonable prices that will leave you a little left over to spend on some other camping gear. Below is Kelty's own video of the trail ridge tent. Watching this video the first impression I get is "lightweight but sturdy", ease of set up is stressed along with the large doors. The five largest tents all have a sleeping area of 140 square feet or more. One is a cabin tent already covered above. The other 4 are modified dome tents, two are Coleman's Evanston Screened 8 and 6 model. I like these tents a lot and you can read about it's great qualities here. Whilst updating this page I noticed the overall score had dropped slightly, still well above average. Of the others, one just jumps out, with awesome ratings the very large Grand Pass Family Dome from Mountain Trails offers unheard of value for less than $200.00 With 180 square feet it makes it one of the largest tents available today in 2019 the best deal on square footage for sure on this site. You can see a video here by Wenzel, demonstrating how easy it is to setup. You can compare 61 another large tents with a minimum of 99 sq feet of sleeping space, if you want more space. 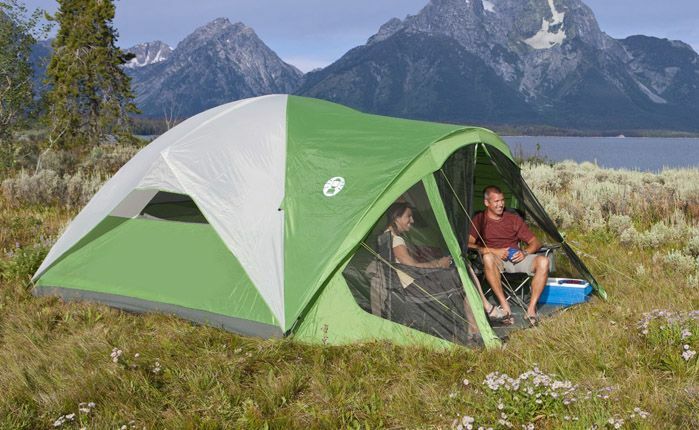 Four of the 4 person tents get high ratings the ever-popular Sundome 4 is deeply discounted to $41.99 info_outline from its already low MSRP of $89.99 Extremely popular with over 500 reviews on Amazon makes it an exceptional deal for those on a budget. The Canvas Flex Bow Deluxe 4 is a small canvas cabin tent for those wanting something a little sturdier than your average tent, an extra $50 gets you the much larger Canvas Flex Bow Deluxe 6 person tent much better value, for just a little extra. 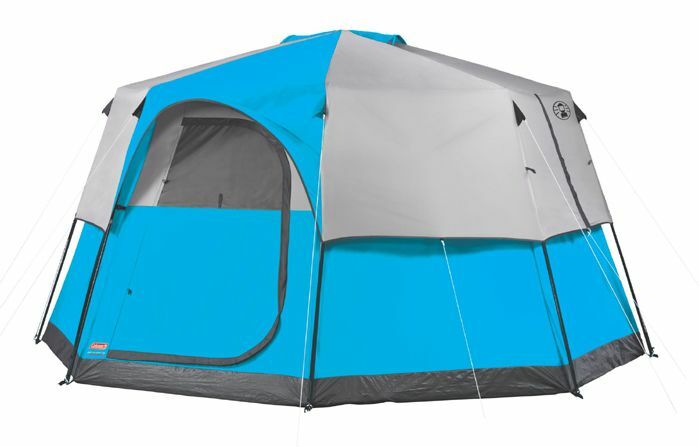 The Big House 4 manufactured by Big Agnes offers a lot of headroom with 6'8 standing room for a small tent, it can be purchased with or without the awning pictured below. Oddly like above, six of the 6 person tents end up with excellent ratings. Marmot's Limestone 6 is the only one that has not already had a mention. Marmot stands out in its ability to create extremely high quality tents. It is hard to find a bad word in any reviews about Marmot Tents. This kind of excellence comes at a price though, the Limestone 6 only leaves you a little change out of $500 If your looking for a quality tent for a smaller family and your comfortable spending more to get more, any of Marmot's tents are worth further research. Below is Marmot's own video of the limestone 6 person tent. Watching the video you get a good feel for how roomy this tent is, and how well thought out is the ventilation for those hot summer nights. All the 6 person tents can be compared side by side in the 6 person tents page. 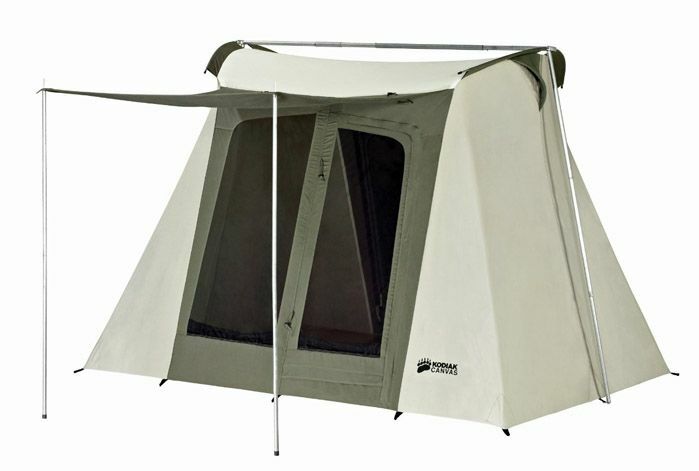 If your looking for a tent that sets up in seconds Coleman's 6 person instant tent just missed getting on the page, as it had a slightly lower rating. In the video below you can see the two guys set up the Coleman Instant tent in less than a minute. If your curious as to what is the best-rated tent I have looked at, it is the Big Agnes Flying Diamond 8 it is the only tent that I have seen with a near perfect rating, perfection comes at a steep price though. If you are in this for the long haul and expect to be camping often over the coming years the $699.95 info_outline investment may be well worth considering. In the end the best tent is going to be the one that suits you, your family and your pocket best.